After the flashy “Grand Tour” this past summer, the 10th Istanbul Biennial, under the curatorship of Hou hanru, just may have brought the fatigued international art community back to the real world. Despite the ever-accelerating global exchanges in all aspects of our life and the tireless pursuit of North/South, East/West dialogues by international organizations, the world is still studded with cultural misunderstandings, poverty, and war. So, with the title Not only Possible But Also Necessary, Optimism in the age of Global War, this year’s Istanbul Biennial chose to confront these intricate worldwide problems, providing a stage to revive the hope that art can be a catalyst of our time and might be able to respond to the failure of formal politics and government policies. This thematic focus helps to push this year’s biennial away from the elitist nature of contemporary art exhibitions. Hou set aside the standard, overly-theorized curatorial concept and pursued a broad investigation of urban life in an “era of globalization,” thereby examining pressing urban ailments and the cultural mutation triggered by the imperatives of globalization and neo-liberalism. The Biennial’s premise was direct- the desire to examine or, better, to show how art can truly be an agent of change in contemporary art to manifest social change. 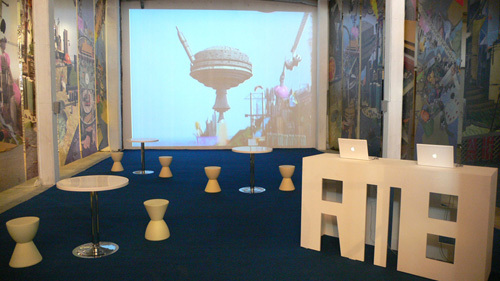 Hou attempted to realize this conceptual ambition by working as an “urban guerrilla”: through experimenting with venues under transformation; through a public screening program , Nightcomers, which infiltrated the city by bringing the biennial to the general public; and through presentation platforms for art projects concerned with socio-political causes. By bringing art into the city and to places undergoing change, or on the verge of new development, Hou turned the traditional form of display-oriented biennials into a series of ephemeral interventions.